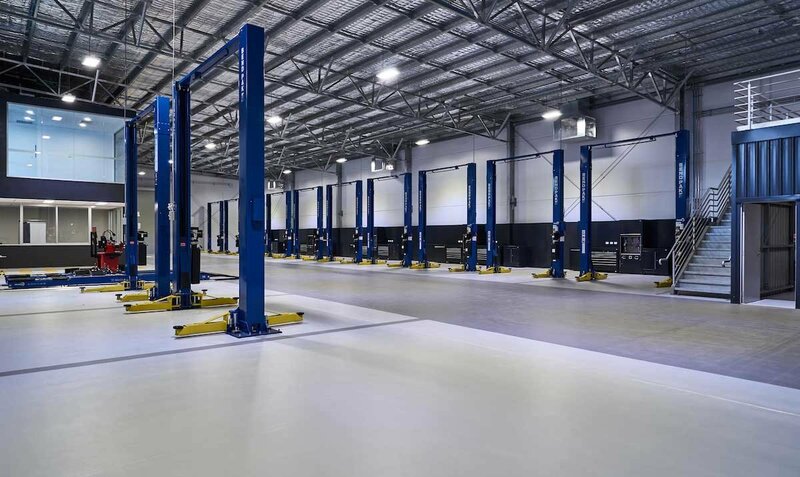 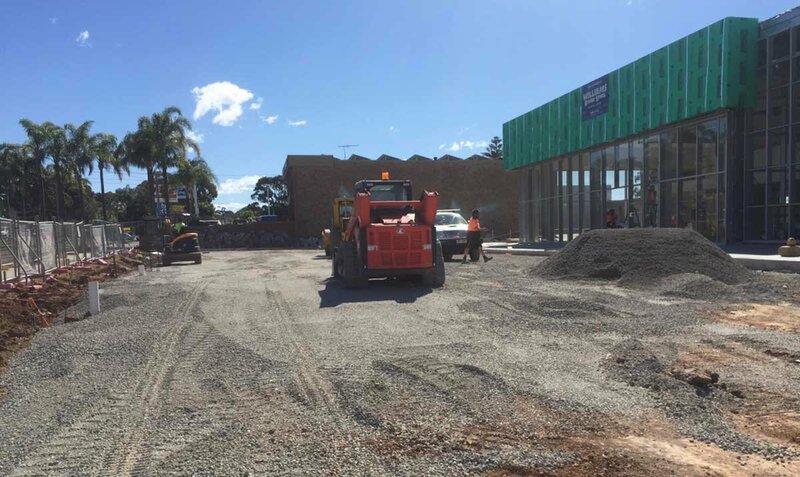 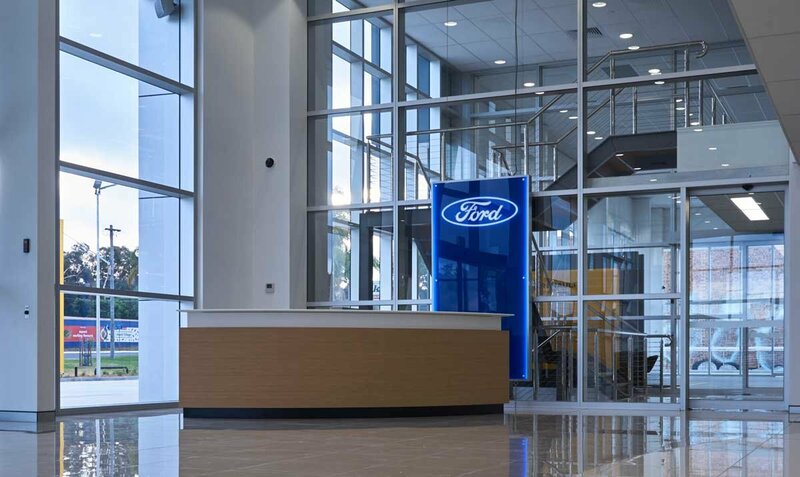 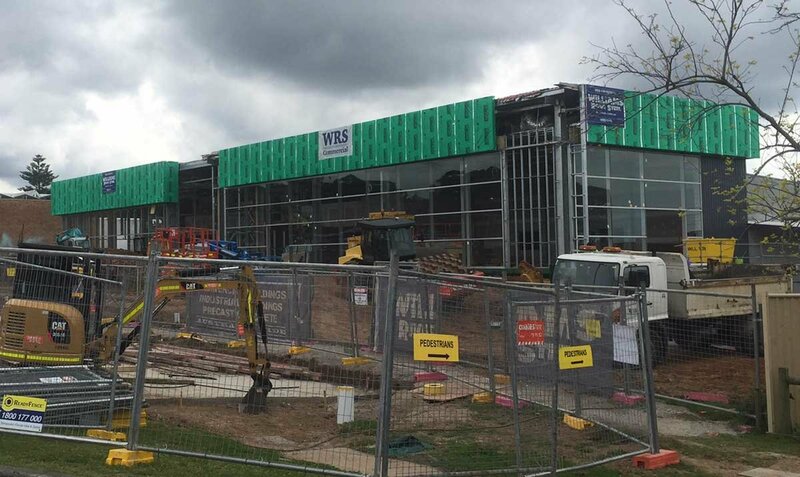 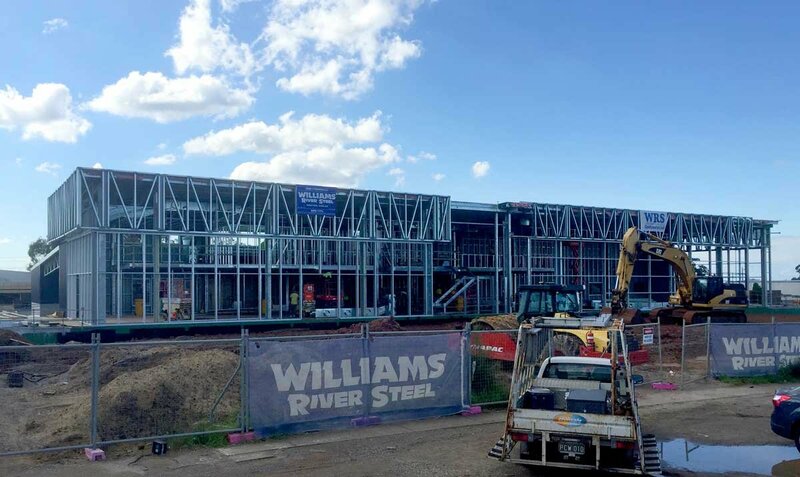 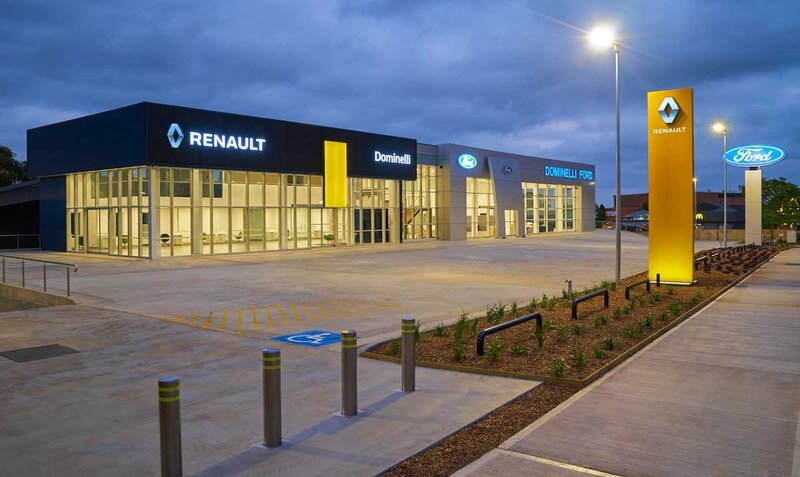 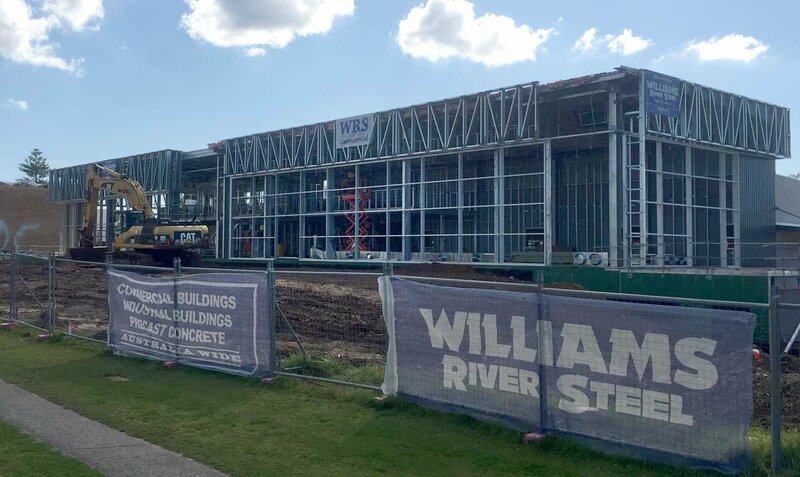 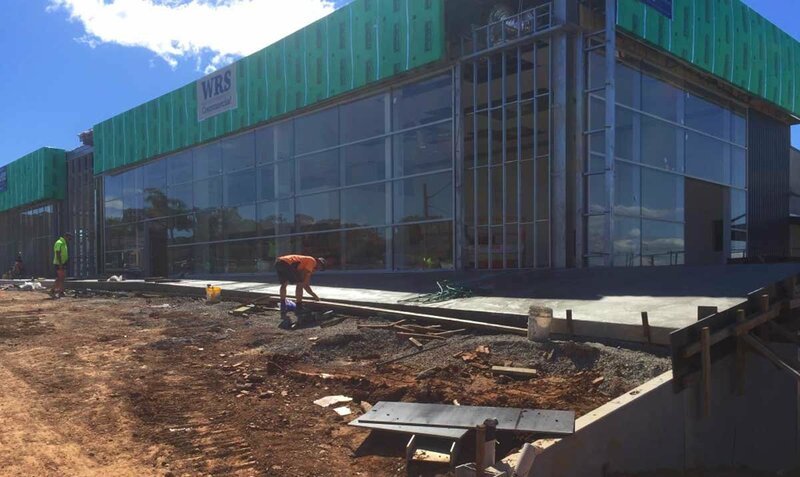 The new Ford and Renault showroom will be a state-of-the-art designed facility for the two manufacturers Ford and Renault, and to add a bit more of an edge to the showrooms appearances we have incorporated the ‘Ford curved frontage’ as per their new corporate identity in Australia. 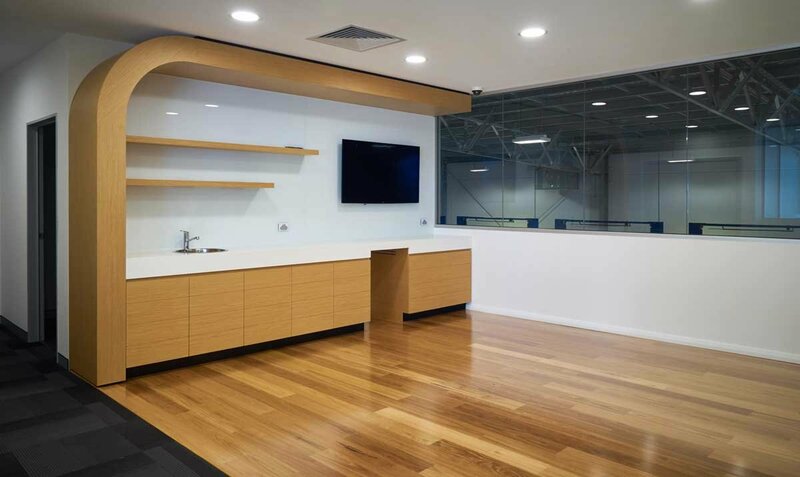 This will certainly be the first one built in NSW and possibly Australia with the curved design and will be the companies new requirement for future constructions and renovations for their showrooms in Australia. 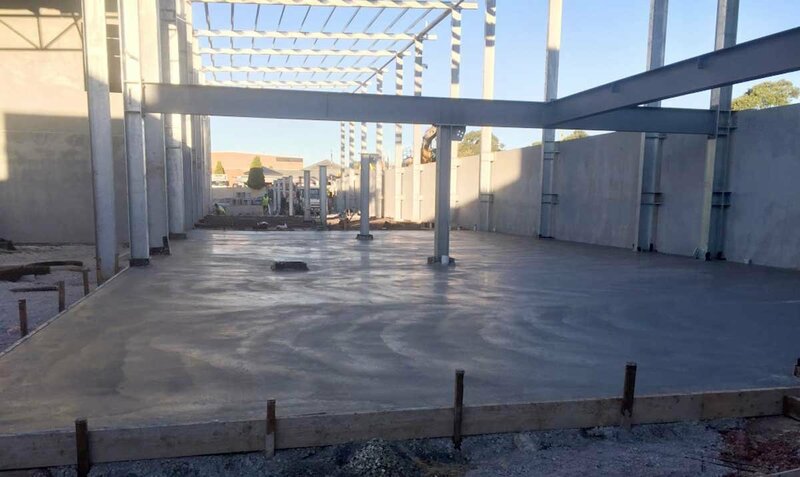 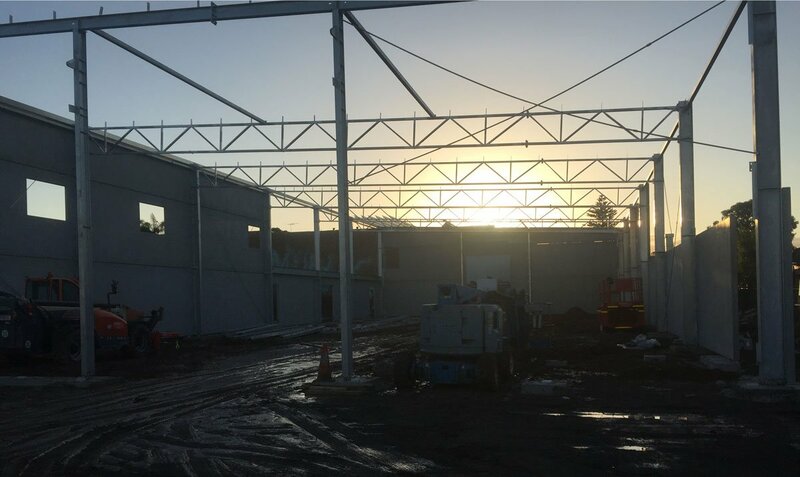 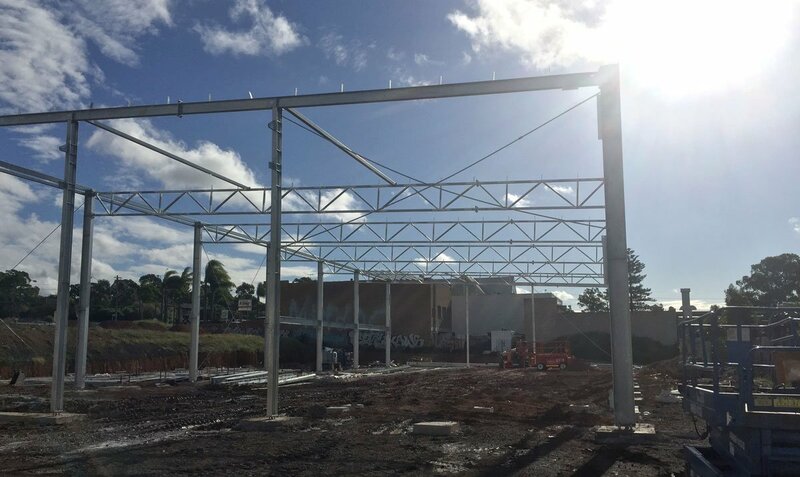 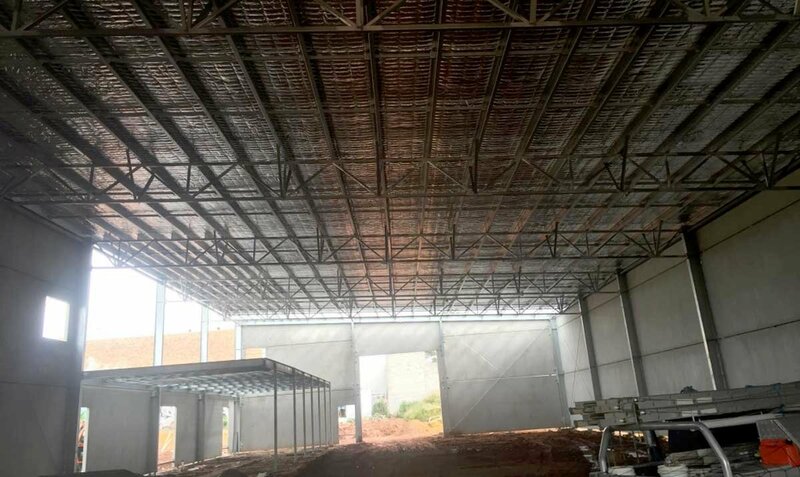 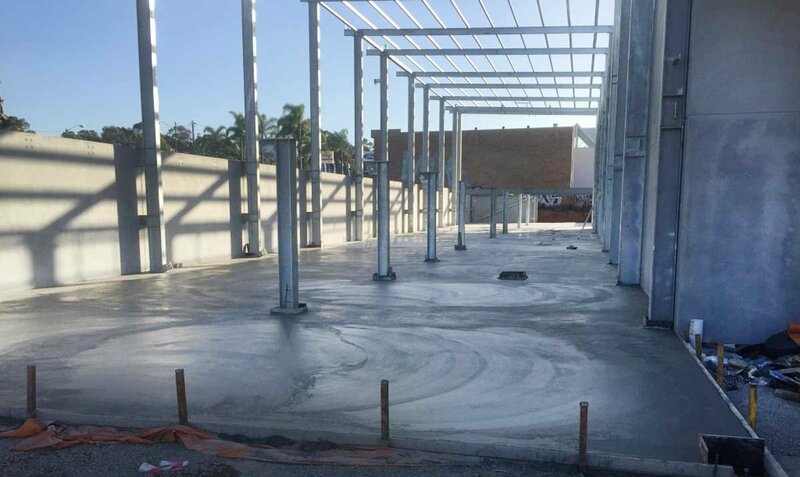 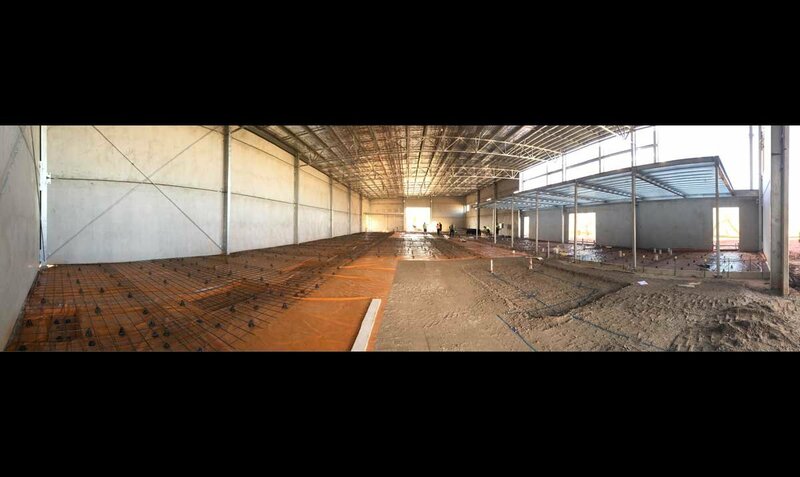 The showrooms have a footprint of around 700m2 with a first floor office areas of 200m2 and the service areas will be around the 1000m2 size. 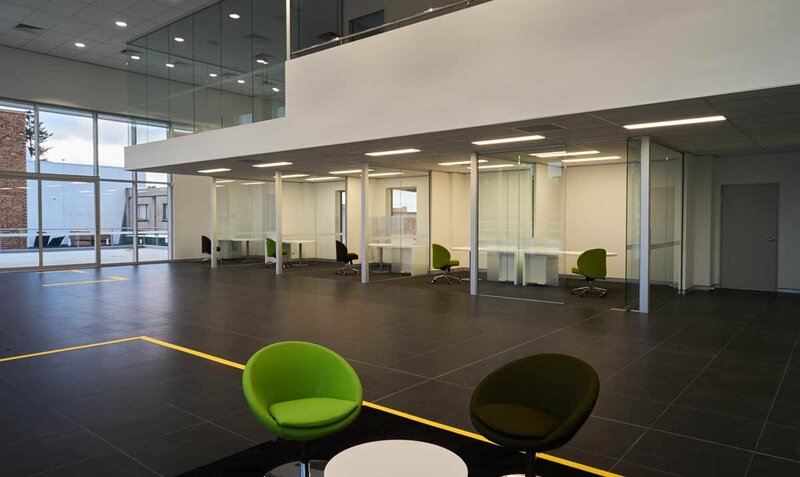 We have designed the project to incorporate both brand identities with full height 9m glass atrium in the showrooms, Icon and Pylon signage as per the manufacturer’s requirements. 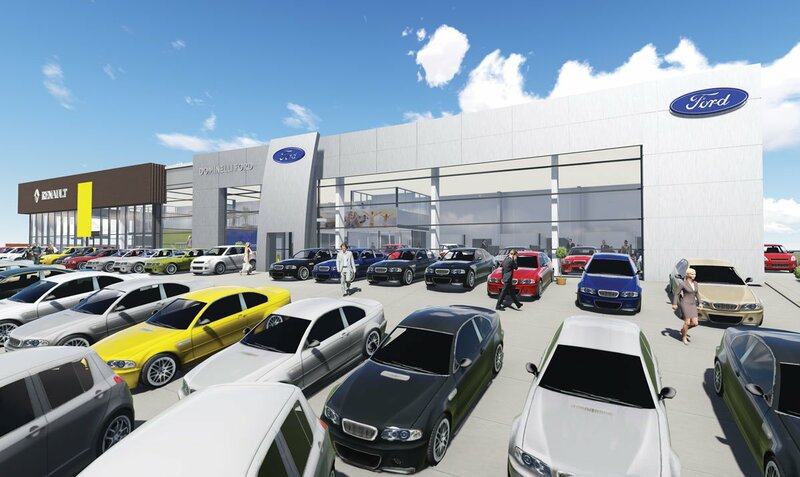 Externally there will be allowance to display 74 cars externally at the front with ample car parking at the rear and rear exit sections of the complex. 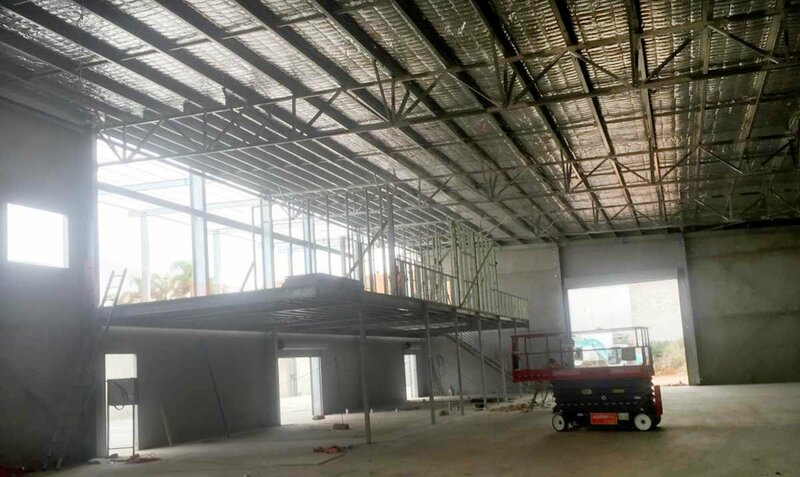 12 hoists will be installed in the service section with client parking bays, ‘Handover Bays’, and long term bays all taken into consideration. 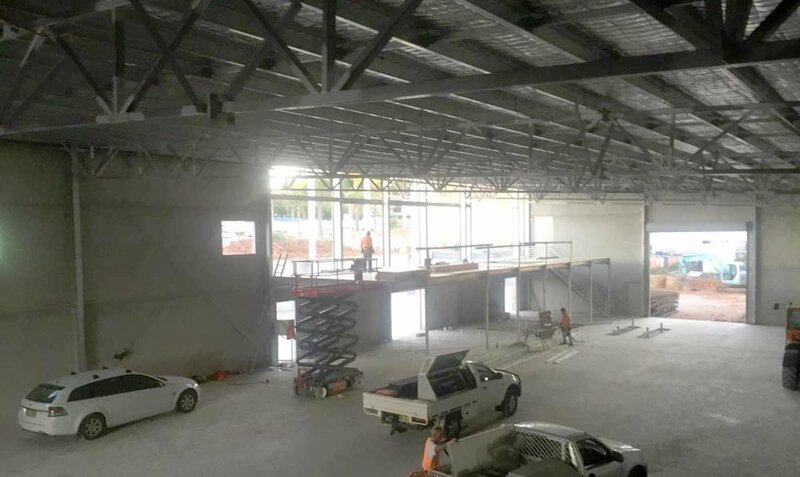 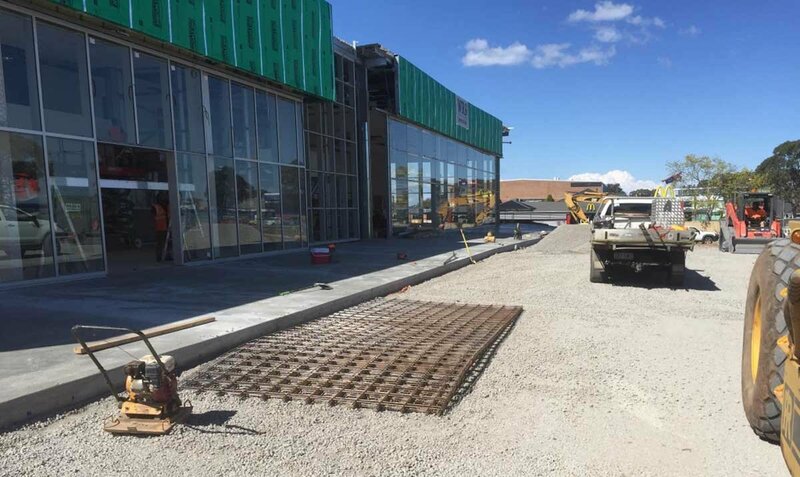 Customers will be able to enjoy the all-weather access and parking entry area, then walk up a set of stairs to the café and lounge areas in the all new Dominelli Ford and Renault.